Back by popular demand! Brown Bag Lunch Discussions are hour-long sessions featuring local personalities and prominent figures from the artistic, cultural, historical, educational, and media sectors to present a range of topics that audiences can both enjoy and engage in via question and answer sessions that will follow each presentation. Seniors and retirees, second shift employees, and the general public will be able to access and learn about local history and culture in an engaging, entertaining, and educational format. Brown Bag Discussions are held in the MWC offices on the ground floor of the Rock Island Public Library (410 19th St. Rock Island), and are free and open to everyone. Bring your lunch and join us for an invigorating discussion! 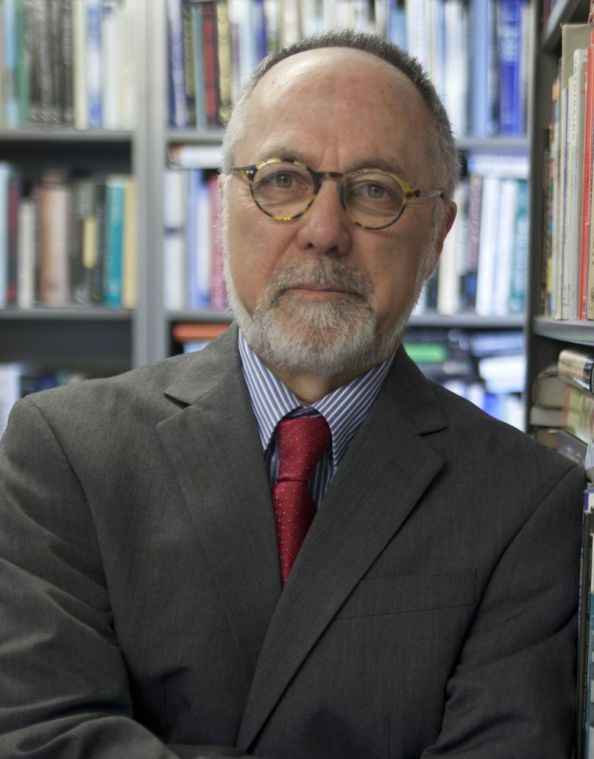 Our next event on Friday, Oct. 19 from 1-2pm at MWC will feature Peter Kivisto, the Richard A. Swanson Professor of Social Thought at Augustana College, USA and Co-Director of the Laboratory for Research on Transnationalism and Migration Processes at St Petersburg State University, Russia. If you have any questions, call Ryan Collins at 309-732-7330 or email at mwc@midwestwritingcenter.org. Dr. Peter Kivisto, the Richard A. Swanson Professor of Social Thought at Augustana College, USA and Co-Director of the Laboratory for Research on Transnationalism and Migration Processes at St Petersburg State University, Russia. The author of over 30 books and 150 articles and book chapters, he currently serves on the Council of the American Sociological Association. Dr. Kivisto’s most recent book is “The Trump Phenomenon: How the Politics of Populism Won in 2016” (SocietyNow). “In this short book, Peter Kivisto analyses how this happened, focusing on who Trump is and the narratives about him and his candidacy that evolved during the campaign, who his supporters are and what their worldview is, and the role of the media, right-wing Christians, and the Republican Party in making Trump’s victory possible. This event is made possible thanks to the generous support of the Regional Development Authority and the Illinois Arts Council Agency.